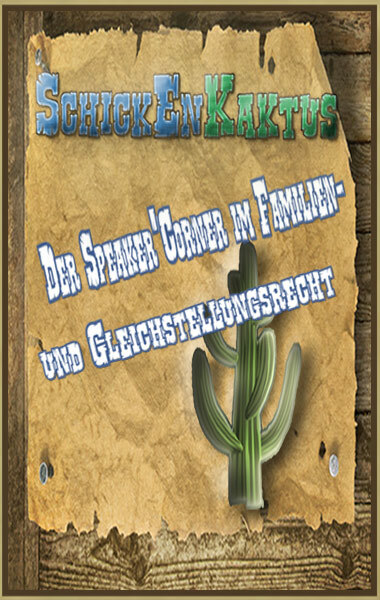 In unserem Speakers’ Corner wird mit einer Stellungnahme der Behörden und Amtsträger eine neue Kommunikationsebene im öffentlichen Dialog erreicht. Die Probleme sollen offen angesprochen und gemeinsam angegangen werden. Die Wünsche der Bevölkerung könnten Gedankengänge auslösen und dazu beitragen, neue Perspektiven zu schaffen. Die Wunschbücher stellen eine Form der freien Meinungsäusserung der Bevölkerung dar. SchickEnKaktus est une plate-forme internet pour les orateurs du droit de la famille et de de la législation sur l’égalité. Dans différents pays, le nom "Speakers' Corner" est également utilisé métaphoriquement pour le droit à la liberté d’expression. Plusieurs pays profitent déjà ce droit de s'entretenir librement sur des thèmes controversés. Avec une prise de position des services publics et des porteurs administratifs dans notre Speakers’ Corner, un nouveau niveau de communication sera atteint dans le dialogue public. Les problèmes devront être traités ouvertement et abordés en commun. Les souhaits de la population pourraient soulever des points de réflexion et contribuer à l’élaboration de nouvelles perspectives. Les livres de vœux représentent une forme de la libre expression des opinions de la population. SchikEnKaktus è una piattaforma online per i conferenzieri creata nell'ambito della normativa per la famiglia e le pari opportunità. In diversi Stati, l’espressione “Speaker’s Corner” viene anche usata in senso metaforico per indicare il diritto alla libertà di opinione. Questo diritto di parlare liberamente riguardo temi controversi viene già utilizzato in più nazioni. Nel nostro Speaker’s Corner viene raggiunto un nuovo livello di comunicazione tramite la presa di posizione delle autorità e del personale statale. I problemi devono essere apertamente trattati ed affrontati insieme. I desideri della popolazione potrebbero dare vita a dei ragionamenti e contribuire a creare nuove prospettive: infatti, le liste dei desideri costituiscono una sorta di libera espressione dell’opinione della popolazione. „SchickEnKaktus“ is an internet-platform for speakers about the family law and equality rights. The “speakers’ corner” metaphorically means the right of free speech. This right is common sense in many countries’ culture. 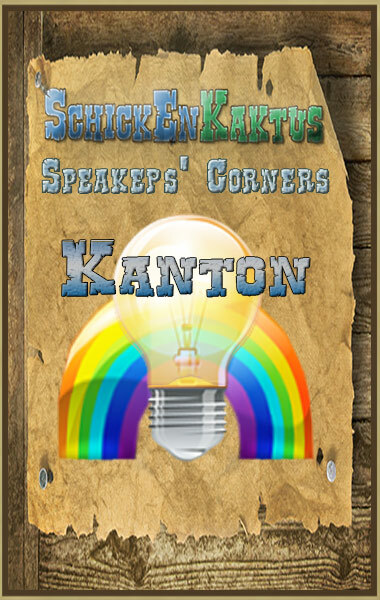 Our “speakers’ corner” marks a new presence of dialogue including the feed-back of public authorities and their departments. Problems should be addressed openly and tackled mutually. The burning desire of many may create new trains of thought and may lead to new prospects. The created books represent the free opinion of the participants. Wo stehe ich jetzt und was hätte ich mir gewünscht? Derzeit gestaltet sich das Unterhaltsmodell nach der Regelung: Vater bezahlt, Mutter betreut. Die heutige Wissenschaft zeigt eine Richtung, dass bei einer Trennung das Kind beide Elternteile benötigt und einen Platz haben muss. Auch ist es wissenschaftliche belegt, dass Kinder, die in einem Wechselmodell aufwachsen, gleichermassen Entwicklungschancen haben wie jene, die in einer einer intakten Familie sind. Deshalb ist es wünschenswert, dass das zukünftige Unterhaltsmodell nach dem Interesse des Kindes richtet: Das Wechselmodell. Die Eltern betreuen das Kind gleichermassen. Damit sind die Kosten gleichgelegt. Sollte es einem Elternteil nicht gelingen, diese Funktion zu übernhemen, so kann/soll dies finanziell abgegolten werden. Eine WIN-WIN Situation für alle! ich bin kein direkt betroffener im Familien- und Gleichstellungsgesetz. Ich bin ein Steuerzahler. Ich habe gehört, dass wenn ein Nichtsorgeberechtigter sein Kind sehen möchte, unzählige Verfahren durchlaufen muss. An dieser Stelle wird es mir schlecht, wenn ich daran denke, wieviel Millionen von Franken hier verpulvert werden. Wäre das Gesetz gleichgestellt oder würde vorsehen, dass ein Besuchsrechtsverweigerer mit falschen Argumenten den Staat instrumentalisiert, so müsste man gesetzliche Vorkehrungen machen. Ein Statement, dass wir Steuerzahler nicht für Unzulänglichkeiten in dieser Szene bezahlen müssen! 1. It is clear that the best interests of any child are served by spending a more or less equal amount of time with both parents. It would therefore make most sense if the ?Obhut? during a separation was split allowing the child/children to live with both parents and avail of their rights as set out under the UN Convention on the Rights of the Child, not to mention the UN Convention on Human Rights to which Switzerland is a signatory. The only cases where this should not be provided are where there is a clearly proven and demonstrable danger to the child/children. (i.e. one party cannot just make unfounded allegations/or lack trust in order to ?win? custody). 2. In general the confrontational position the law/courts/lawyers ?force? parties to take, is not optimal. We should be looking for solutions where everyone benefits as much as possible and everyone loses as little as possible. The current system makes ?winners? and ?losers? and effectively forces parties to bring out as many nasty, and in many cases, untrue arguments in order to ?win?. Since society must be aiming for amicable solutions and hopefully a decent, (though unmarried), future between the 2 parties, especially where children are involved, a more reconciliatory system would better serve this purpose. 1. I can fully understand the rationale behind the current method used, which is based on a time in history where Women tended not to work and therefore in the event of separation would clearly have limited access to finance their lives, thus making the breadwinner (in the past usually the man) support the wife and children. This is however not in line with the world we currently live in where Women have as much access to work and high-paid jobs as men. Indeed each situation needs to be looked at in isolation, as opposed to a one-size-fits-all approach. 2. In essence where both the husband and wife work full-time jobs the amount provided by each party towards the marriage prior to the breakdown in the marriage should clearly more than suffice for the party who remains with the marital home and children. This, given that the amount put towards the house also covered many items for this party such as food, utility bills etc which will no longer be required so the costs of maintaining the household will be less. In fact it is the person who is removed from the marital home who will actually incur further expenses, since he/she will have to find another suitable place to live, furnish this place and replace countless items which are left in the marital home, including items required for children when they are allowed to visit this party, food, utility bills etc. 3. Once ?expenses? are covered, currently the remainder is currently bizarrely split 2/3:1/3 for the person who remains with the children. Clearly this is essentially giving them extra money and actually making it virtually impossible for the other party to survive in any semblance of the life they had prior to the breakdown of the marriage. This also means that when children do come to visit, this party is massively limited in what they can afford to do with them and in general in their daily lives. Since the marriage contract states that each party must provide to the marriage what they can and what is necessary, this split makes limited sense, as what is necessary is not actually what is being considered in the excess amount after expenses. The current system incentivises parties to increase their expenses as much as they can in order to get as much out of the other party as possible, even if this does not correspond with reality and the 2/3:1/3 split seems to be a random number not based on the reality that we live in today. In fact the remaining funds should be left with the party who earns this money; otherwise that party is essentially going to work to earn money for someone else who they no longer wish to be married to. 4. The purpose of a separation or divorce is not to unduly penalise one party or the other, but rather to recognize that the 2 parties for whatever reason no longer wish to remain married - not to ruin one party to the benefit of the other. The current system unduly and unnecessarily creates a system whereby one party benefits massively, and the other is left with very little. b. The person awarded the ?Obhut? in the current system asked for it, so essentially where both parties request the ?Obhut?, the one who does not get it is punished twice ? once because they do not get to see their children, and twice because they then have to pay extra money for this, even though they would happily look after their children. c.	Both arguments above point towards a better system as pointed out in the first point above regarding child custody ? that everyone is better served in a system where it is standard that the child ?Obhut? is shared, meaning both parents can enjoy looking after their children, the financial split would be simple and obvious and it would cover the costs of the children only, and most importantly the interests of the child would be best served by having equal access to and time with both parents. I thank you in advance for considering these points and potentially raising these with your colleagues so that perhaps steps can be made in the interpretation and application of the law, and those in the legislature so that they may see the folly of the current system and commence to change the legal structure which clearly does not provide for stability, fairness or justice in its current form. Ich bin ein harmloser, durchschnittlicher, gewaltfreier, nicht vorbestrafter und unbescholtener Schweizer Vater. Auch meine Kinder sind ganz normal und durchschnittlich. Obwohl das dem Willen der Mutter widerspricht, würde ich ganz gerne mal meine Kinder an Weihnachten sehen. Wenn heute ein Beistand erkannt hat, was bei einem Detailproblem eine sinnvolle Lösung wäre, hat er keine Kompetenz, diese Lösung gegen den Willen der Mutter (= der Standard-Inhaberin der Obhut) durchzusetzen. Beispiel: Ein Beistand will die Kinder sehen, um deren Zustand beurteilen zu können, und die Mutter weigert sich, (indem sie z.B. ganz einfach einen Anwalt als Rechtsvertreter vorschiebt, der immer im richtigen Moment in den Ferien oder sonst nicht erreichbar ist). Es besteht keine Chance für den Beistand, nur schon so etwas Einfaches wie einen Termin durchzusetzen ! Was sind das überhaupt für Zustände in diesem Land ? Für was haben wir eigentlich reihenweise vollberufliche, hoch qualifizierte Beistände mit hohen, aus Steuergeldern finanzierten Löhnen, wenn diese kaum Kompetenzen nur schon für die einfachsten Dinge haben ? Jede Parkbusse wird konsequenter umgesetzt ! Das Parlament soll endlich eine gesetzliche Grundlage schaffen, dass Beistände sinnvolle Lösungen auch gegen den Willen der Mutter durchsetzen können. Als alleinerziehender Vater nun mit Obhutrecht muss ich weiter Unterhalt an meine Noch-Frau bezahlen (vermutlich sogar noch nach der Scheidung). Arbeit (100%), Kindserziehung und Führen des Familienhaushaltes bringen mich fast an meine Grenzen. Unterhalt sollte aus meiner Sicht zentral von den gemeinsamen Kindern abhängig sein. Kindsunterhalt und Unterhalt für den/die KinderbetreuerIn ist aus meiner Sicht gerechtfertigt. Unterhalt einfach weil man Frau ist, nicht. Aus diesem Grund sollte der ZGB-Artikel 163 Abs. 2 (Unterhalt der Familie durch Geldzahlungen, Besorgung des Haushaltes oder Betreuen der Kinder) ins Zentrum einer Trennung gesetzt werden. Wer alle Pflichten übernimmt, darf nicht noch Zahlungen an den Ehegatten machen müssen. In der jetzigen Rechtsauslegung ist es aber so, dass die Erwachsenenbedürfnisse im Zentrum stehen. ZGB Art. 125 Abs. 2 führt ebenfalls dazu, dass der faule Ehegatte vom fleissigen profitiert. Weiterführung der Kindserziehung soll nachehelicher Unterhalt geben, evtl. auch über die Beendung der Kindsausbildung hinaus, da hier eine Leistung erbracht wird. Evtl. auch Mithilfe im Geschäft kann auch ein Grund sein. Die restlichen Gründe führen aber leider hauptsächlich zu Faulheit und Scheinkrankheiten. Aus meiner Sicht können mündige Erwachsene selber für sich sorgen. Wenn dieser das nicht kann, dann muss der Staat einspringen (und nicht der kindsbetreuende Noch-Ehegatte). Eine Ehe darf nicht die Sozialversicherung ersetzen. Das Besuchsrecht gestaltet sich ohnhin schwierig. Wie wäre es, wenn die Bedeutung der Weihnachtszeit gerecht kommen würde und dem Besuchsrechtsbelastenden Elternteil dem 24. oder 25. Dezember verpflichtet wird, das Kind zum anderen Elternteil zu übergeben? Wie wäre es mit einem Gesetz im Familienrecht, dass Rechtsstreitigkeiten nicht provoziert, sondern löst? Die Kinderalimente werden in einer Vereinbarung getroffen mit der KESB oder von einer anderer Beratungsstelle. Geklagt auf Alimente wird beim Zivilgericht. Wäre es nicht die Überlegung Wert, Klagen durch die KESB behandeln zu lsasen?